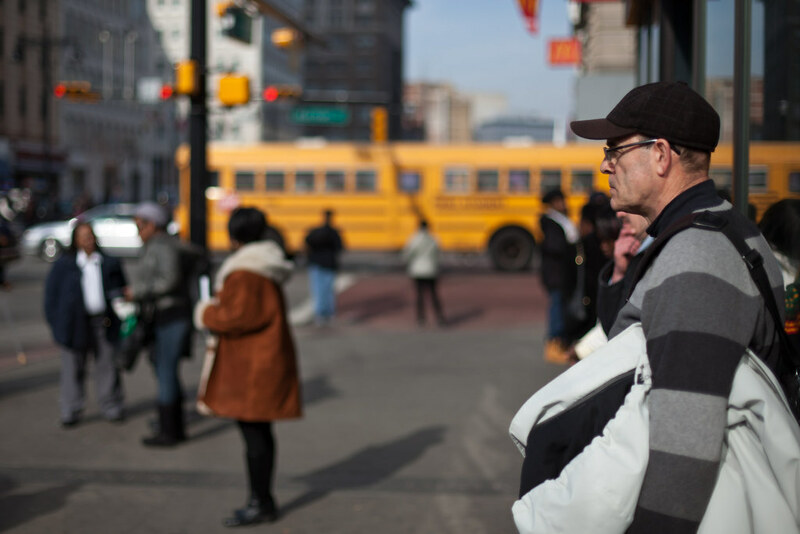 A man waits on the intersection of Broad and Market Street in Newark, New Jersey on February 17, 2010. I was in Newark last week for a quick trip and snapped some photos on the way. You can see a few more in this gallery on flickr. I was struck by the number of "for rent" signs" and deserted buildings in the downtown area. The architecture suggests a vibrant past and it's sad to see how rundown the city center is today.